SBC Recycle will securely transport your electronic back to our facility where it will be shredded into its simplest form for recycling purposes. SBC can destroyed your sensitive data at your location. We provide mobile destruction services for a variety of electronic devices such as computers, cell phones, tablets, and more. A Certificate of Destruction is provided as a standard part of each service we offer. This certificate contains detailed information regarding transactional and asset-based data. SBC is proud to provide you with data destruction, hard drive shredding, and e-waste recycling at our secure and controlled facility. Safeguarding confidential information is crucial for all companies in our current perilous and insecure digital landscape. 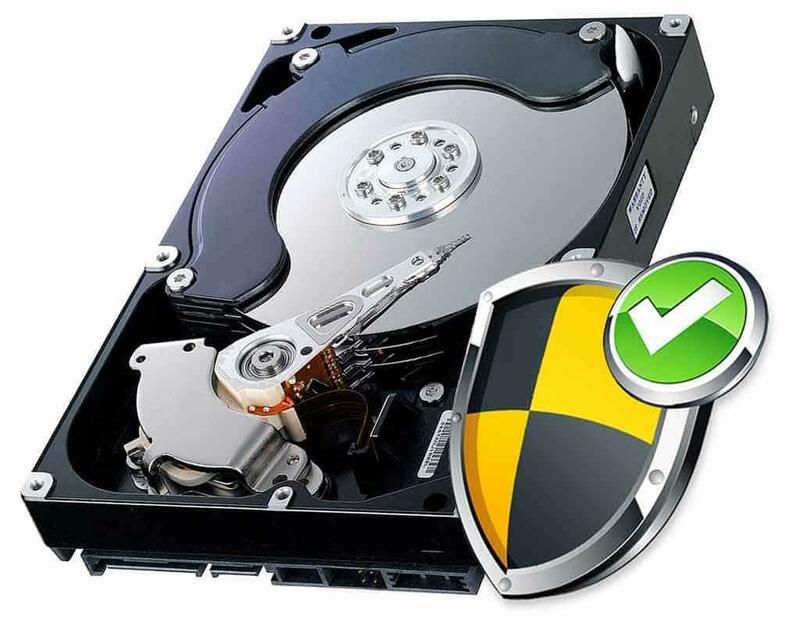 SBC is proud to offer 100% guaranteed physical destruction of sensitive data for you company. We currently serve small businesses, government agencies, healthcare organizations, financial institutions, and manufacturers in the Portland Metro Area. Why do you need to destroy your data? Your old computers and electronics may still contain sensitive data that you don’t want anyone else to have access to. That’s why SBC Recycle offers 100% security guaranteed state-of-the-art on-site or offsite data destruction services. Did you know how much information about your company is on one single hard disk? It is a simple matter of plugging the hard drive into a new computer and reading the files. Even if the hard drive is formatted, your files can be recovered (the information is still there and can still be retrieved). The only secure way to destroy the hard drive is to shred it. Similar to a paper shredder, we destroy each hard drive by shredding it into tiny pieces of metal, which can then be properly recycled and reused. We then meticulously catalog each serial number of each hard drive we receive and shred each drive one by one. How are we better than other companies which claim to provide the same service? Many outsource their data destruction to another party, so it is hard to know if the drive is secure at every point. Do you need data to be completely destroyed before we leave your location? No problem. We provide mobile destruction services for a variety of electronic devices such as computers, cell phones, tablets, USB drives, CDs, DVDs, and tapes). Our technicians will capture the hard drive serial numbers prior to shredding them. For your convenience and peace of mind, the whole process can be done while members of your staff oversee it. The serial numbers will then be collected in the presence of your personal and added to your data destruction certificate. What do we do with your destroyed electronics? Upon completion of the process, as witnessed by your staff, the destroyed materials will be securely transported back to our facility where it will be processed into its simplest form for recycling purposes. SBC is proud to provide you with data destruction, hard drive shredding, and e-waste recycling at our secure and controlled facility. We are happy to tailor the details of the process according to your company’s individual security needs. Please take a look at our efficient process that will give you peace of mind that your data will be handled and transported in the most secure way possible. Next the devices or hard drives will be destroyed according to a state of the art procedure, which meets all industry requirements for safety had been met. We will be sure to record all serial numbers of processed and destroyed items for audit and accountability purposes right after the destruction process.. The materials will then be loaded into a SBC GPS-traceable truck and transported to a recycling plant which meets our high standards of zero-landfill and eco friendly recycling. A Certificate of Destruction, a nationally recognized legal document of performance, will be signed by a SBC officer and provided to each client. This certificate will also include the full inventory list of serial numbers associated with the destroyed items. Our facilities are designed with security in mind, so you can rest assured that your data will not be compromised.